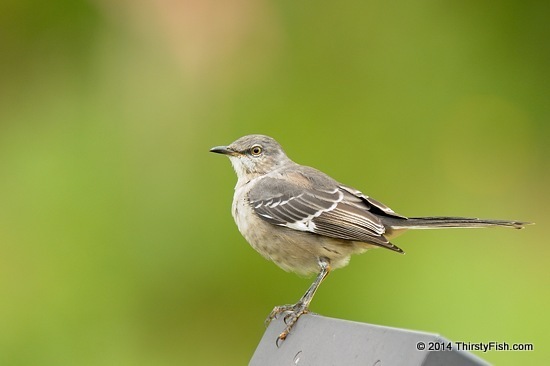 Why is a Mockingbird Called a Mockingbird? Because it imitates the songs of other birds. Propaganda is a complicated business. The Smith-Mundt Act of 1948 specified the terms in which the United States government could engage global audiences with propaganda, while outlawing the dissemination of propaganda within the U.S. Despite that, in the 1950's, the CIA started a secret campaign to influence American media, aptly named Operation Mockingbird. The CIA secretly recruited a network of "mockingbird" journalists, student and cultural organizations and magazines to help present the CIA's views to the public. Using our tax dollars to deceive us? After a series of leaks and investigations, in 1976, it was announced that the CIA will not enter into any paid or contract relationship with mockingbirds, although voluntary, unpaid cooperation of journalists was "welcomed". And recently, the 2013 NDAA effectively overturned the ban on domestic propaganda by eliminating the distinction between domestic and foreign audiences. In other words, we are paying tax dollars for our own misinformation and disinformation.